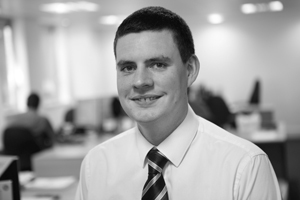 Principal Engineer who enjoys a challenge in design work and thrives on problem solving, whilst learning new things. After starting my architectural engineering degree and in to the first year, I realised I hated the architectural side of the course, so continued with civil engineering. From Matlock on the edges of the Peak District, I currently still live there but based in our Birmingham office. After graduating from Leeds University, I started with BWB Consulting in 2002 as a Graduate Engineer in the Nottingham Highways & Infrastructure team and have since progress and moved to the Flood Risk & Water Environment team as a Senior Engineer, recently I have been promoted to Principal Engineer. Eurohub Corby for Prologis, as I was design engineer for all aspects of the civils package. Unfortunately the recession hit and it was never built! No idea as long as I am happy.